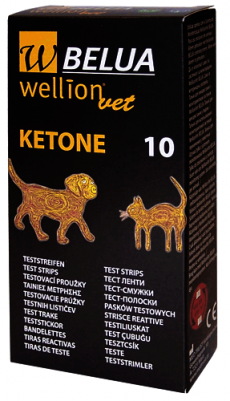 Safety and accuracy – these claims are met by the innovative WellionVet BELUA blood glucose and ketone measurement device. 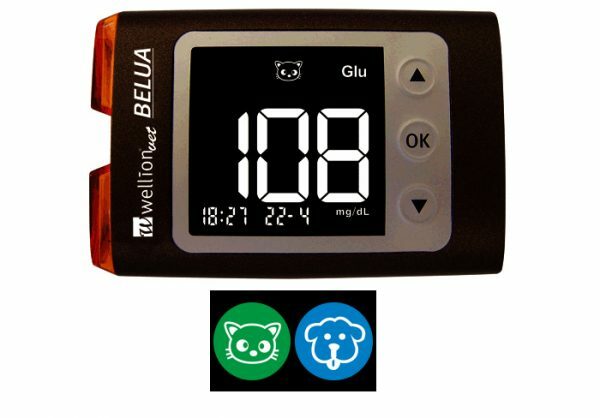 The WellionVet BELUA device is specially developed for dogs and cats. 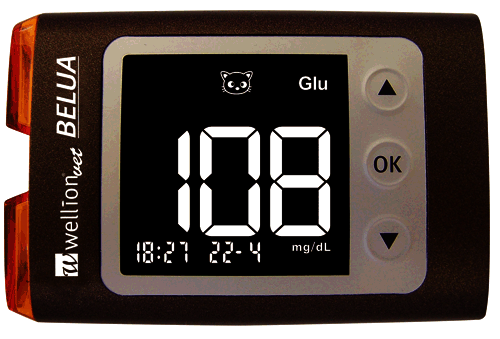 Dedicated code chips are used for precise blood glucose and ketone measurement which can be easily and quickly replaced. The easy operation of the WellionVet BELUA device makes life easier with your diabetic pet. Big digits, easy readable numbers on the backlit screen and the illuminated teststrip port also contribute to the convenience in use. 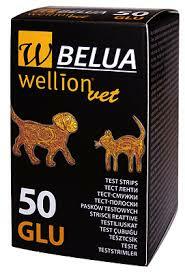 Used WellionVet BELUA teststrips can be easily and quickly removed by means of the eject button. 6 alarms can be set individually and will remind you to perform regular blood glucose tests bringing routine for your pet in diabetes therapy. A successful diabetes therapy can be achieved by following the treatment plan of your pet, regular blood glucose monitoring and supervision by the veterinarian.